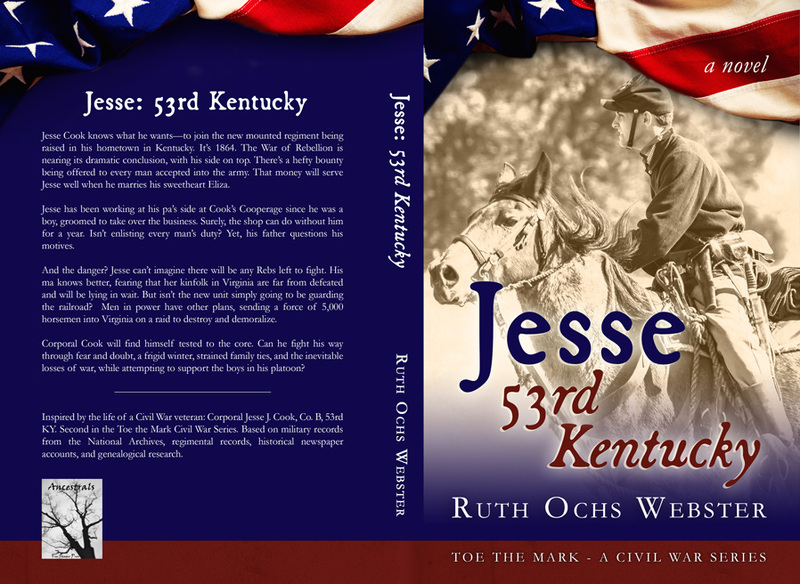 Beetiful designed the book cover for Jesse: 53rd Kentucky by Ruth Webster. It’s the second book in the Toe the Mark series. Jesse Cook knows what he wants—to join the new mounted regiment being raised in his hometown in Kentucky. It’s 1864. The War of Rebellion is nearing its dramatic conclusion, with his side on top. There’s a hefty bounty being offered to every man accepted into the army. That money will serve Jesse well when he marries his sweetheart Eliza. Jesse has been working at his pa’s side at Cook’s Cooperage since he was a boy, groomed to take over the business. Surely, the shop can do without him for a year. Isn’t enlisting every man’s duty? Yet, his father questions his motives. And the danger? Jesse can’t imagine there will be any Rebs left to fight. His ma knows better, fearing that her kinfolk in Virginia are far from defeated and will be lying in wait. But isn’t the new unit simply going to be guarding the railroad? Men in power have other plans, sending a force of 5,000 horsemen into Virginia on a raid to destroy and demoralize. Corporal Cook will find himself tested to the core. Can he fight his way through fear and doubt, a frigid winter, strained family ties, and the inevitable losses of war, while attempting to support the boys in his platoon? 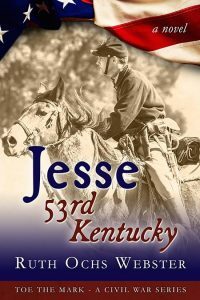 Inspired by the life of an actual veteran of the Civil War: Corporal Jesse J. Cook, Co. B, 53rd KY.
Second in the Toe the Mark Civil War Series. 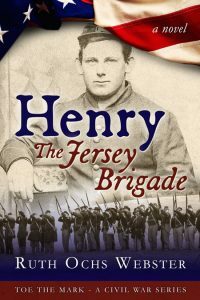 Based on military records from the National Archives, regimental records, historical newspaper accounts, and genealogical research. 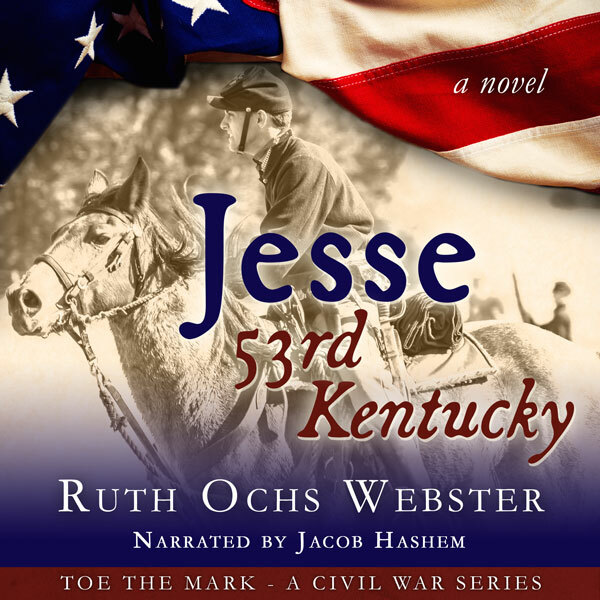 Get Jesse: 53rd Kentucky by Ruth Ochs Webster today! Ruth Ochs Webster was born and raised in Covington, Kentucky, a city on the Ohio River. She has long been fascinated by the stories inherent in American history, particularly those of Colonial America, the Revolutionary War, the founding of the nation, and the Civil War. Ruth spent most of her adult life teaching history and language arts to students of middle childhood age. She has freelanced as a columnist, essayist, and feature story writer for newspapers; published memoir and fiction in journals and magazines; and written an inspirational blog. She enjoys both genealogical and historical research. Ruth resides in Metro-Pittsburgh, near the confluence of the two rivers that form the Ohio.